Many people dream of doing a holiday house swap, trading their two-up, two-down in Bognor Regis or Birmingham for a Manhattan penthouse or Sydney beachfront home. Few people realise, however, that house swaps don't have to be only for a week or two. If you're planning a career break for a few months or even a few years, a house swap may be just the answer. A house swap is where you exchange your home with someone, usually a complete stranger, for a specific period of time, either in a different city or even country. Many Internet sites offer house swap notice boards, where people are looking for short-term exchanges, so registering with them is the place to start. If you need a swap for longer, particularly abroad, the ex-pat grapevine is another option for house-swapping during your career break. Everyone has heard the apocryphal story of the family that did a house swap in Paris for two weeks, only to return home to find all their possessions - including their car - had been stolen by their home exchange partners. The key to doing a successful and safe house swap is to discover as much about the person/people who will be living in your home as you can beforehand. Exchanging emails, phone calls and photos are crucial, as is building up a level of trust and familiarity. Arranging the swap through a licensed, insured agency is also de rigueur. 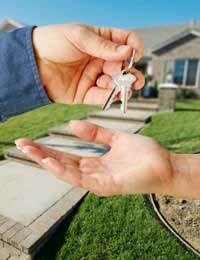 What Are the Advantages of House Swaps? House-swapping during a career break, when done successfully, can make everything run smoother - and often is considerably cheaper, as it's not a commercial transaction and will save you housing costs. Depending on your home exchange partner, you will probably have access to their car, and their house will come fully furnished with all necessities such as bed linen, kitchen utensils etc. Best of all, living in someone else's home will take you away from the typical tourist track, and allow you to experience a taste of someone else's life in a typical neighbourhood. Prepare your home in advance. This doesn't mean you have to do a complete renovation, but you must ensure that all appliances are in fully operational order, that your home is sparkling clean, and that it's not chock-full of personal items. Store all valuable items and jewellery, as well as contents of wardrobes, clothing cupboards and other furniture which your home exchange partners will need to use while living in your house. Remember that they will be bringing personal items with them only, so leave behind all bed linen, kitchen utensils, garden maintenance items. If the swap is for a longer period of time, i.e., more than a few months, you may want to remove personal photos etc from walls so your home exchange partner will feel your house is their home whilst they're there. Make sure your contents and buildings insurance is up-to-date and will be renewed automatically by your direct debits while you're away. Most insurance providers will cover the people staying in your house as "invited guests" whilst you're away, but you'll need to check. Also, if you decide to exchange cars, you'll need to make necessary provisions so that all drivers will be covered while you're gone. If you have pets you are leaving behind - with the previous agreement of your home exchange partner - leave strict instructions for their care and ensure your pet insurance is up-to-date. Also, leave detailed written instructions for their care before you go. A written contract is always a good idea, especially if you are leaving for longer than a few months. Make sure you decide beforehand who will pay monthly bills - not only mortgage/rent but Internet and phone bills etc - and if either of you will need to engage the services of a cleaner/gardener. Also, decide what condition the house/garden must be in upon your return, and who will be responsible for any damages incurred. House swaps can be a fun, easy and economical way to find housing whilst on a career break or sabbatical. The key to making a house swap successful is to plan in advance, and to make sure you cross your t's and dot your i's before you embark on your new adventure. With the right planning, a house swap can be a relatively stress-free - and economical - way to find accommodation for your career break, either abroad or at home. I've done a house swap and it was great, something I'd recommend to everyone. We used an agency, one recommended by friends, and it worked out well, as we talked to the family in our home every week (and similarly, we could tell them about their house and dog). We did it for a fortnight, but for a longer sabbatical I could see it working well, too, as you'd get a much deeper taste of the foreign culture. We got to know the neighbours who invited us over, and if we'd stayed longer we'd have felt part of the community.